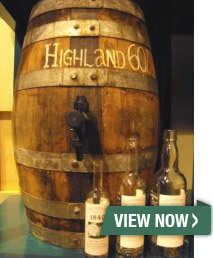 WhiskyIntelligence.com » Blog Archive » 1842 LIVE CASKS at Cadenhead’s – Scotch Whisky News - whisky industry press releases, newsletters, events, tasting notes, bottlings and comments. 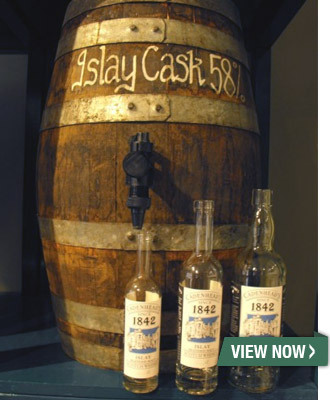 We are pleased to announce that our popular 1842 Live Casks are now available to order in 20cl, 35cl and 70cl sizes. Your order will be bottled by hand in store to order. You can even choose to have your bottle in a presentation sleeve if you wish. Nose: Definitely Islay with full smoke and peat from the moment you open this dram, Sweet pepper and citrus fruits arrive with the classic iodine edges one would expect from a classic Islay. 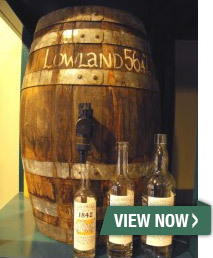 Palate: Initial hit of peat arrives with some waves of salted nuts and smoked fruity barbecue tones across the palate with an abundance of citrus and creamed fruits that allow this cask to give the drinker a balanced dram. Finish: Clean sweet edges, warming soft smoke and waves of classic Islay peat linger with that unmistakable medicinal note we expect from an Islay. It’s not overwhelming in it’s peat & smoke as a final flourish of sweet citrus fruits balance the last of this dram on the palate. Nose: Sherry cask influence gives this a slight dark chocolate tone, lots of rounded fruits and sweet smoke. 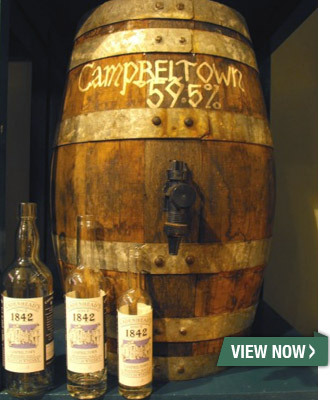 Palate: Classic campbeltown as one would expect, fruity with that classic campbeltown salted toffee tone, very full bodied and well balanced smoke and fruit keep coming across the whole palate. Nose: Soft fruits with hints of fresh churned toffee. Summer time in a bottle! Palate: Light fruity tones mingle with a rich creamy edge to give a perfectly balanced palate, lots of rich sweet candied orange and milk chocolate’s glide across the middle palate with a slight tingling tone that freshens this rather enjoyable dram. Finish: Creamy rich and sweet with just the right amount of spice to lift this great cask malt one more time. Palate: Tingling smooth and the spice from the nose, fruit cake and honey, tablet and fudge tones with hints of oak smoke mix things up across the palate. Finish: Long lingering rich candy with a slight dry fruity edge making this a great after dinner dram. (It’s nice to see William Cadenhead & Co finally discover the internet – WI).